T4958 Looking for a staple women's travel shirt that will also wick away moisture? 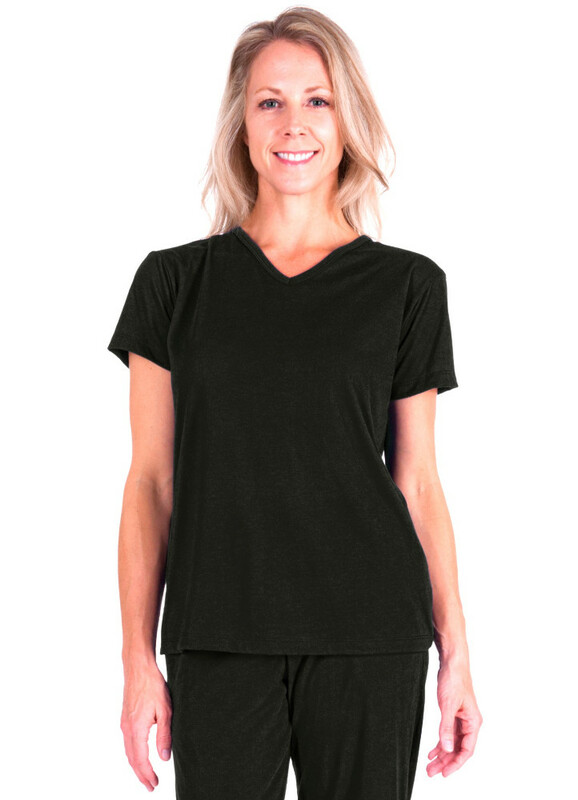 Our Mix & Match Women's Moisture-Wicking Shirt from Cool-jams™ is just the thing. 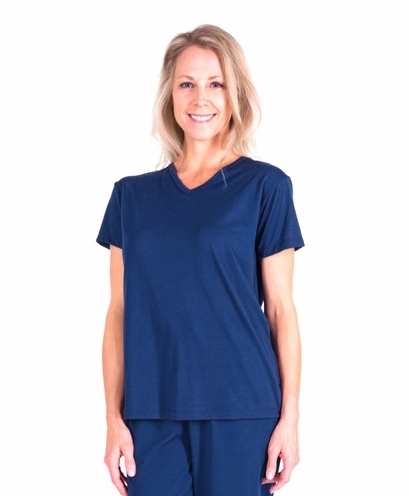 This women's moisture-wicking shirt features a classic T-shirt shape with short sleeves, a loose bodice and a V-neck, but it's also made of our innovative Cool-jams™ fabric that wicks away moisture from the surface of the skin. Whether you suffer from night sweats due to menopause, health issues or a difference in temperature between you and your partner, this women's travel shirt is the answer to your problems. 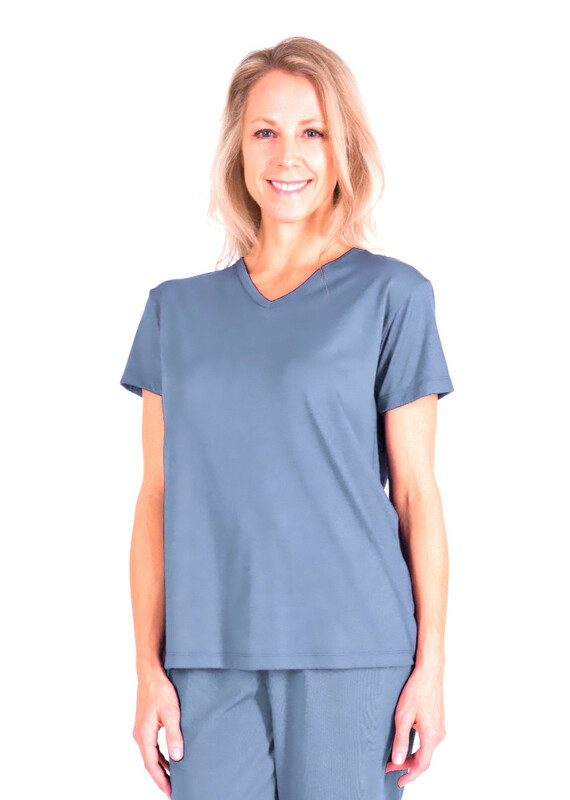 Choose from a variety of stylish colors to match your new Mix & Match Women's Moisture-Wicking Shirt with the rest of our Cool-jams™ wicking pajamas. These pieces are not only soft, silky and lightweight, they're also wrinkle-resistant so that you can easily fold them up while traveling. 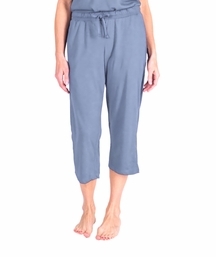 Note: Size 2X is only available in colors Turq-Sea, Periwinkle and Navy. Garment weight approximately 4 oz. Wash your women's travel shirt in cool or warm water on gentle cycle. Never use fabric softener or fabric softener sheets because it will minimize the wicking properties of the fabric. If you accidentally use fabric softeners, re-wash the wicking t-shirt in clear water to remove softener residue, so the wicking properties will return to maximum effectiveness. Lay your women's moisture-wicking shirt flat or hang to dry. 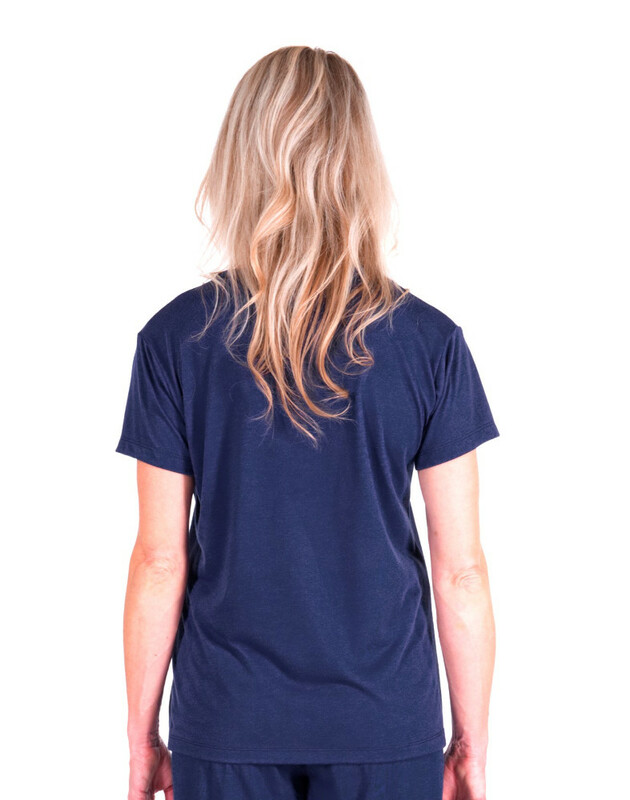 Tumble drying won't damage the women's travel shirt, but can sometimes create static. The top fits nicely. Not slim fitted like many women's t shirts. I like the v neck and it's not so deep that you can't bend over. I would order again. 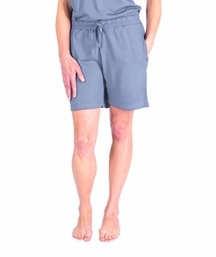 very comfortable and just as described, it wicks away the night sweats. i have slept great and will be ordering more. they seem to be sold out of a lot of the darker colors that i like. definitely worth the price. These products are true to the advertising. I have ordered more because I like them so much. Does what it says. Very quick shipping. Have ordered matching bottoms. Awesomely comfortable, and never felt drier when waking up in the morning. Hand washed and wrung, hung to dry without towel-rolling and perfectly dry and fresh 3 hours later. My only comment is that I like a loose fit, so I wish I'd ordered a medium instead of small (I am a size 4 - 5'6", 107 lbs). I am ordering another right now in another color in size medium. 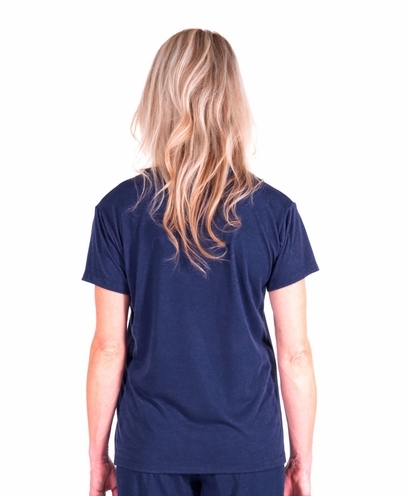 This shirt is to soft and roomy, that alone would make it super comfortable for sleepwear. But, it's ability to keep me at a consistent temperature all night is invaluable. I simply cannot sleep at all without these pajamas! Very cool and comfortable t-shirt. Even works during the day. I bought a few of these tops for a trip recently. A friend told me about them and I have not been disappointed. Very lightweight and very cool. Great products...thank you!